Less than a week after 50 people were killed and dozens wounded in shootings at two mosques in Christchurch, New Zealand, the country's Prime Minister Jacinda Ardern has won praise at home and abroad for her efforts to honor the dead, comfort the bereaved, unite political opponents and stand up to right-wing extremism. "You may have chosen us," Ardern said last week, the anger rising in her voice as she condemned the suspect in Friday's attacks. "But we utterly reject and condemn you." 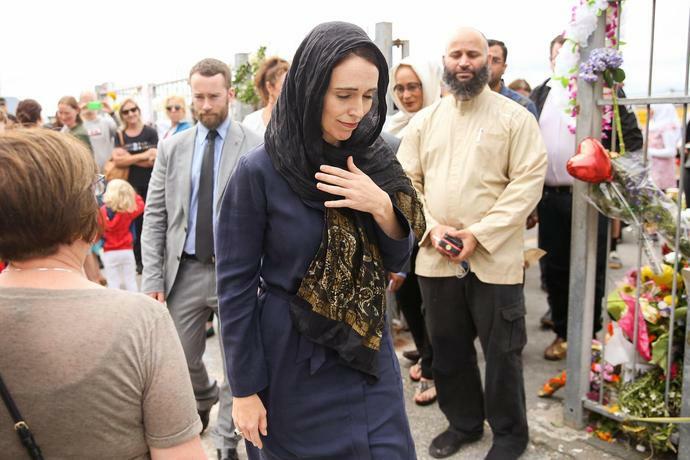 On Tuesday, Ardern went further, telling New Zealand's Parliament that she would deny the man responsible for the nation's worst terror attack in modern history the one thing he likely craved: fame. "He is a terrorist, he is a criminal, he is an extremist, but he will, when I speak, be nameless, and to others I implore you: Speak the names of those who were lost rather than the name of the man who took them. He may have sought notoriety but we in New Zealand will give him nothing - not even his name." About 1.5 million firearms are owned - legally and illegally - by civilians in New Zealand, according to police data tracked by GunPolicy.org, a website run in conjunction with the University of Sydney. This equates to about 30 firearms per 100 people. In the United States, the rate is approximately 120 firearms per 100 people, according to the site. A 2016 study published in the Journal of the American Medical Association found that Australia hadn't had a fatal mass shooting - one in which five or more people are killed - since the 1996 shooting. In the 18 years prior to the new laws, there were 13. "It was a no-brainer to say, 'Right, I'll take care of her, you take care of the country,'" Ardern's partner Clarke Gayford, a television host, told The New Yorker magazine as the pair traveled to New York for the U.N. meeting with their daughter Neve. When she was named by Time magazine in 2018 as one of the world's 100 most influential people, Sheryl Sandberg, Facebook's chief operating officer, described Ardern as a "political prodigy" who was "changing the game" for women around the globe. The suspect in the mosque attacks sent a white supremacist manifesto to Ardern's office just before Friday's massacre. He also livestreamed the attack on Facebook. The social media platform said it removed 1.5 million versions of the video during the first 24 hours.